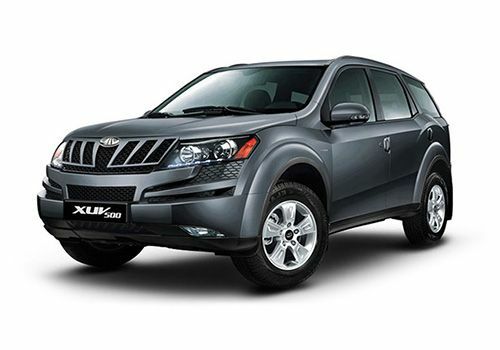 One of India's largest SUV maker Mahindra and Mahindra has introduced a limited edition variant of its XUV 500 in the automobile market. It is christened as Mahindra XUV 500 Sportz and is powered by the same 2.2-litre, mHawk diesel engine that is capable of producing 140bhp in combination with a peak torque of 330Nm. It is paired with a 6-speed manual gearbox that enables the vehicle to produce 15.1 Kmpl, under standard conditions. Mechanically, there are no changes that have been made to this vehicle as the updates are purely regarding its cosmetics. The car maker introduced this trim with all the comfort and safety aspects, which are already prevalent in the W8 trim. In addition to those, this new entrant is bestowed with several styling aspects including sporty decals, fabric-leather upholstery, exclusive badging and other such aspects. In terms of safety, this trim comes equipped with rear view camera, which will assist the driver while parking. The company is going to take only 1000 bookings for this Sportz edition across the country. The appearance of this limited edition trim is absolutely stunning, as it comes with breathtaking cosmetics. The company has added styling aspects all over its body structure in order to make it look sportier. To start with the frontage, it has body colored bumper that comes incorporated with fog lamps featuring red color inserts. On the bonnet, it has stylish red graphics, which gives an intimidating look to the front. The radiator grille and the headlight cluster have not been given any updates. The sides have stylish 'Sportz' decals on its doors, while there are red inserts on the door handles , ORVM caps and stylized roof rails as well. This latest trim gets a unique set of alloy wheels with signature inserts, which further complements the side profile. The rear end has a distinctly structured taillight cluster, which is equipped with high intensity lamps. The rear windscreen is quite large and is accompanied with a spoiler that has a third brake light as well. The overall look of the rear is complimented by the exclusive 'Sportz' badge on the tailgate. Inside the cabin, this Mahindra XUV 500 Sportz limited edition trim has well cushioned seats, which are wrapped in leather upholstery with fabric inserts. The dual tone dashboard is equipped with an elegant center bezel that flows down right to the first row and gives the cabin a classy appearance. The company has given this variant a number of utility based features, which include cup and bottle holders, leather wrapped steering wheel, folding table in the rear, a big glove box with laptop holder, trunk light for easy access, new premium armrests and so on. The illuminated instrument cluster features a digital clock, seat belt reminder notification, headlamps on and door ajar warning, tachometer, an electronic multi-tripmeter and several other warning notifications. This latest trim is powered by the same 2.2-litre, mHawk diesel engine that comes with a common rail direct injection technology. It has four cylinders, 16-valves. It displaces 2179cc and is further incorporated with a variable geometry turbocharger. This mill has the ability to produce a maximum power of 140bhp at 3750rpm in combination with a commanding torque output of 330Nm in the range of 1600 to 2800rpm. This motor is paired with a 6-speed synchromesh manual transmission gearbox that distributes the torque to all four wheels. The automaker has installed micro hybrid technology, which switches off the engine when not necessary and thereby, reduces the consumption of fuel. This motor can deliver a minimum mileage of 12 Kmpl within the city, while generating a maximum 15.1 Kmpl on the highways. This variant comes with an efficient braking mechanism as all its wheels are fitted disc brakes along with high performance calipers. It is further enhanced by ABS along with EBD. It has a speed sensitive power steering system, which is tilt adjustable and makes handling simpler. It supports a minimum turning circle of 5.6 meters. On the other hand, it comes with an independent suspension mechanism, which helps in keeping the vehicle stable on any road condition. The front axle is assembled with a McPherson strut along with anti roll bar. Whereas the rear end gets a multi link type of mechanism, which is further assisted by a similar anti roll bar. This Mahindra XUV 500 Sportz limited edition variant has all the essential safety features. The list includes side impact beams along with crumple zones for crash protection, electronic stability program with rollover mitigation, hill hold and hill descent control. It comes with dual airbags for driver and front co-passenger along with side and curtain airbags, which helps in protecting the occupants in case of any collision. Apart from these, it is also blessed with ABS and electronic brake force distribution , central locking system, seat belt for all occupants and additionally this limited edition variant has also rear view camera that helps in parking the vehicle. This SUV comes with several advanced features, which gives the occupants a luxurious feel while travelling. It has a multi-functional steering wheel, which is mounted with cruise control, audio, phone and voice command switches and adds to the convenience of the driver. For in-car entertainment, it has an advanced 2-DIN music system comes with 6-inch color display, which also supports GPS navigation. It is equipped with a number of functions such as CD/DVD player, radio with AM/FM, USB interface, Auxiliary input along with four door speakers and two tweeters on dashboard. Apart from these, it is also incorporated with air conditioning unit with fully automatic temperature control function and rear AC vents, mobile charging points in all three row, rear reading lamp, all four power windows with driver side auto down function, type pressure monitoring, seat lumbar support, entry assist lamp and so on. 1. Classy 'Sportz' cosmetics gives it an asserting look. 2. Inclusion of a rear view camera adds to its advantage. 1. Price tag can be more competitive. 2. Fuel economy can be made better.